V451-226G "What I Love Most"
V490-704G "Vintage Country & Sunflowers"
V210-636ML "Starlight Bath Collection" is a collection of framed art prints of the art of artist Carrie L. Knoff. 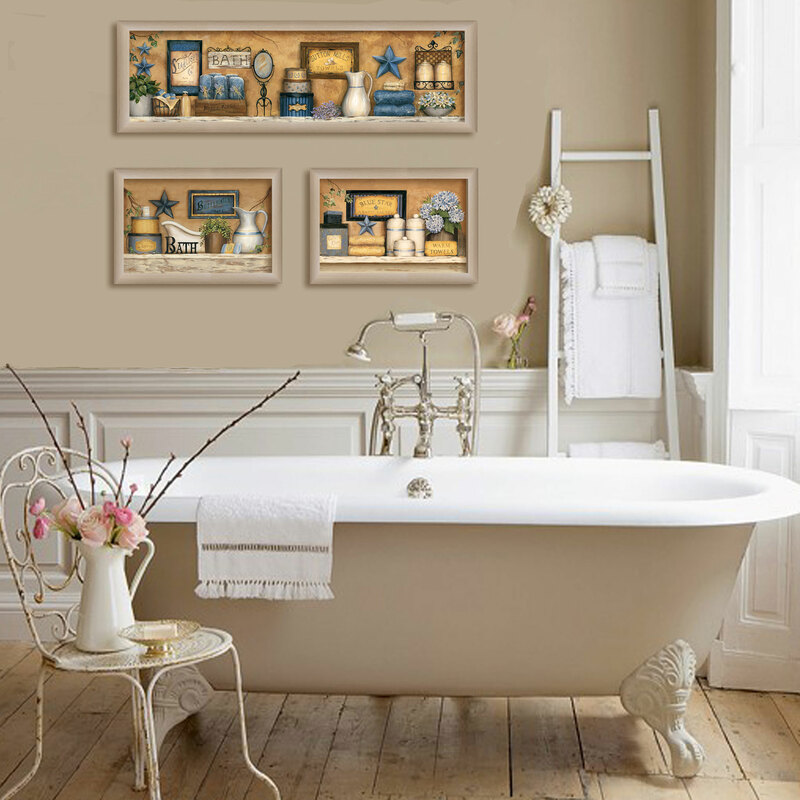 The collection consists of Starlight Bath, a 32" x 10" art print showing a group of soaps, boxes, towels, potted plants, ivy, stars etc. in blue and nuetral colors. Buttermilk Soap Co. and Warm Towels are 14" x 10" framed prints and match Starlight Bath by matching the color scheme but have different decorative objects. The prints have a protective finish so no glass is needed, and come ready to hang. Made in the USA with pride! Also available in 276BLK.